Future smart electrical distribution systems could adopt switch remote control and advanced automation systems to operate in autonomous mode (islanding) some portions of the network in order to improve system reliability. 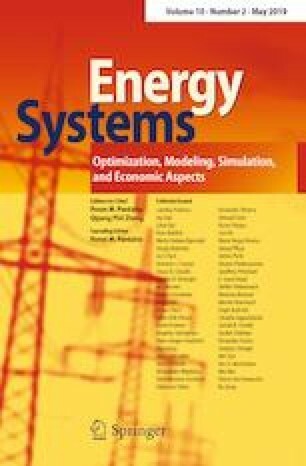 In this perspective, a free code able to assess distribution reliability by using analytical or Monte Carlo simulation methods accounting for intentional islanding operation is presented. An effective network representation and data structure, which have led up to the implementation of two automatic and general procedures, are proposed. The procedures share common underlying information in order to speed up calculation. A further merit of the tool is that it enables the user to quickly and simply create the input files. The reliability indices of three distribution networks have been computed by means of the developed software for different scenarios, that is when island mode of operation is not permitted by regulation, and when island mode is permitted (intentional islanding) with the local load either partially or totally supplied by renewable distributed generators. The free code, the input files and the results related to the considered networks are available online at: http://www.dieei.unict.it/users/sconti/psrs.htm.